Enjoy special discount and awoof prices on various Thermocool products, ranging from Cookers to Televisions, Air Conditioners, Freezers, Generator sets and more! Reason for the price cut? 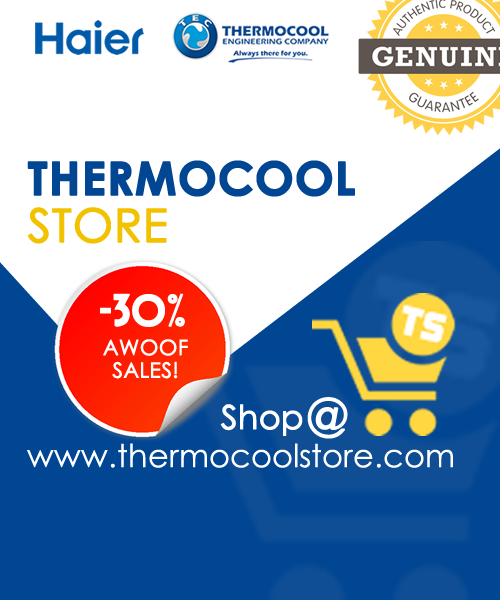 We just launched our online portal: www.thermocoolstore.com and we are rewarding new purchases with discounts up to 30% off! Prices we double-bet you can’t find anywhere else! We deliver FREE for any purchase(s) around Abuja and environs (Nasarawa, Suleja). For others outside of these locations, we will arrange with special delivery agents to deliver your order. Our online store www.thermocoolstore.com accepts payments of all cards: VISA, MASTERCARD, VERVE both local and international. We also process orders on CASH ON DELIVERY and BANK TRANSFER. All these details are available at the time of your checkout. All our products are original and warrantee supported directly from Thermocool. We are trusted Thermocool partners and dealers and have proven patronage record over the years. 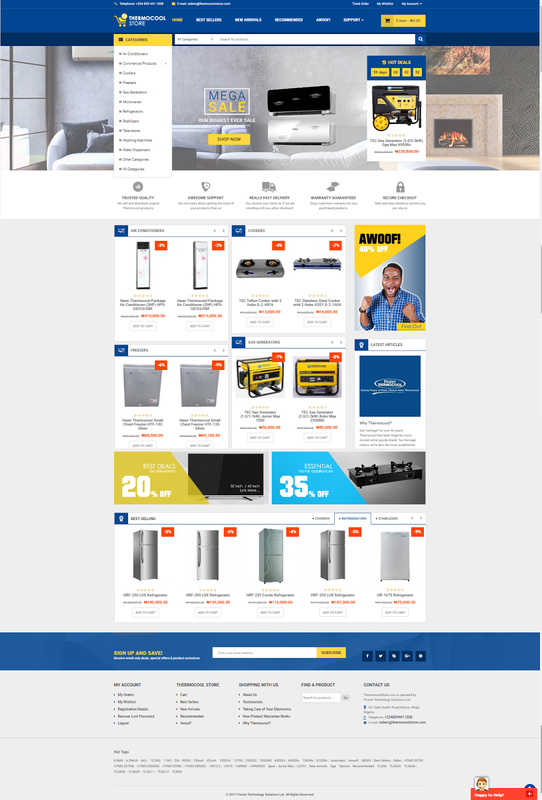 Our mission is to become the largest online store for Thermocool products all over the country, Nigeria. Thermocoolstore.com is operated by Pronet Technology Solutions Ltd. We launched this portal in early 2017 to expand our distribution and sales of Thermocool Products. We serve a retail customer base that continues to grow exponentially, offering Thermocool products that span various categories including Air Conditioners, Cookers, Generators, Fridges and much more. Our range of services are designed to ensure optimum levels of convenience and customer satisfaction with the retail process; these services include our lowest price guarantee, 7-day free return policy*, order delivery-tracking, dedicated customer service support and many other premium services. We are highly customer-centric and are committed towards finding innovative ways of improving our customers’ shopping experience with us; so give us some feedback on orders@thermocoolstore.com. We won’t leave you after your delivery, though you will enjoy the beautiful Thermocool product without us, but we will be on standby on our various Support channels just in case you will need our assistance in any way.